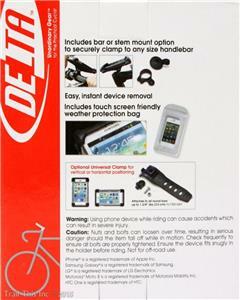 New Delta SmartPhone Bicycle Caddy II. Stem or Handlebar mount. Includes all-weather protection bag. 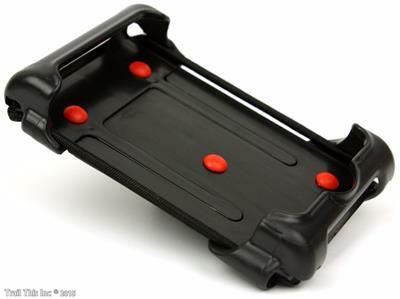 The Delta SmartPhone Caddy II is the up to date version of the original. Now fits even larger phones, even as still securely holding many older models. 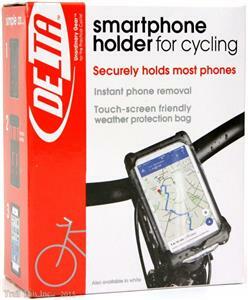 The included all weather bag assists in keeping your phone safe from the elements. Copyright © 2015-2016 Trail This, Inc. Please check with your country’s customs place of business prior to purchase to decide what this additional cost will be.​.